We are nourished by food and books! 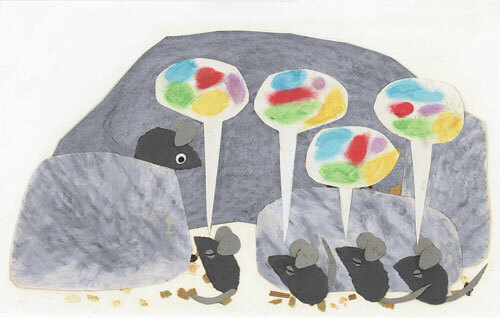 In Leo Lionni’s classic children’s book Frederick, the hard-working mice collect grain while their companion Frederick daydreams. Initially angry with his laziness, the other mice realize Frederick’s value when he offers his crop of words and images late in the winter. His poetry nourishes them. We are very happy to announce our first RX for Reading Library at a WIC Clinic, hosted by the Arab American Chaldean Council at 111 W. 7 Mile. Here mothers and children will receive nourishment for the body and for the mind. 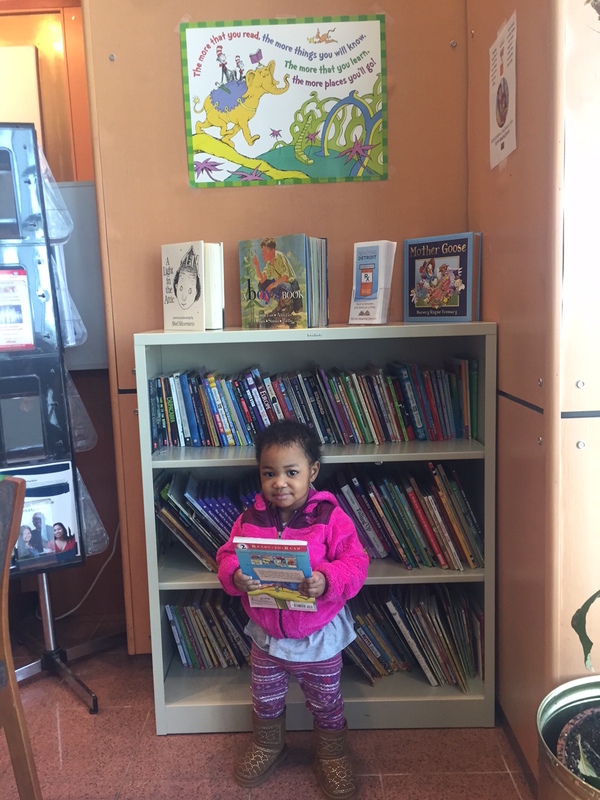 Little Allison picks her new book! The Special Supplemental Food Program for Women, Infants, and Children (WIC) Nutrition Program assists in meeting the nutritional needs of expectant, breast feeding and postpartum women, infants, and children through age five. Program services include nutritional education and counseling, supplemental nutritious foods, breastfeeding support, infant formula for babies up to one-years-old, health screenings, lead poisoning education, lead testing, hemoglobin testing, and referrals for additional services. WIC is a health and nutrition program that has demonstrated a positive effect on pregnancy outcomes, child growth and development. Thank you to the ACC for inviting us to be part of the work you do for our community!